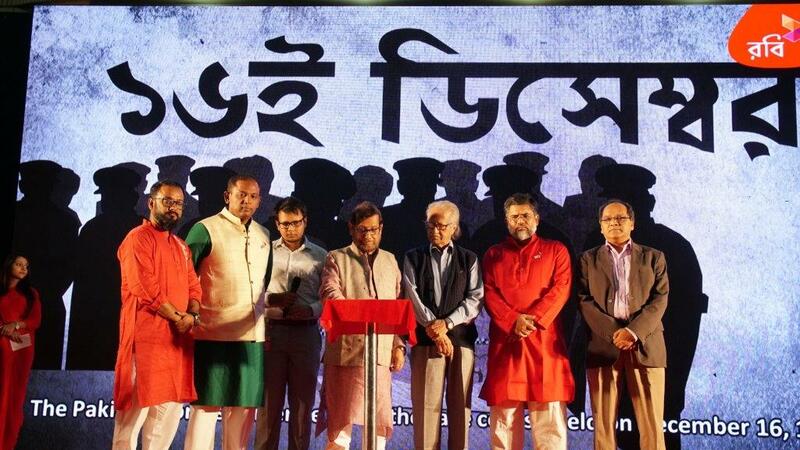 Innovative app "Bijoy Itihash" was launched today which would display the glorious historical events that led to the emergence of independent Bangladesh in 1971. Cultural Affairs Minister Asaduzzaman Noor, MP inaugurated this innovative digital app as chief guest in city's Bangabandhu International Conference Centre. Using the Bijoy Itihash app, anyone can scan notes of Taka two, five, ten, twenty, fifty, hundred and five-hundred denominations to view an audio-visual on the Language Movement of 1952, Juktofront Election Movement of 1954, Martial Law imposition of 1958, Education Movement of 1962, Six-Point Movement of 1966, Gono Obbhutthan (mass upsurge) of 1969 and glorious War of Independence in 1971, respectively. Robi's Vice President, Brand and Market Communications, explained the rationale of the project. He also clarified the technical aspects of the Bijoy Itihash app. Each of the historical moments captured by the Bijoy Itihash app correspond to each of the seven pillars of the Jatiyo Smrity Shoudho (national mausoleum) located in Savar. The idea to tag the history with the Taka notes was taken considering the fact that every Taka note contains the image of Jatiyo Smrity Shoudho and Taka is available in all parts of the country and every citizen having access to them. Speaking on the occasion, Asaduzzaman Noor said young generation is habituated with digital technology and in this backdrop the app could be a good source of information on our glorious history. Mustafa Monwar said, the young generation is very tech-savvy and they download a lot of things on their digital devices. This app could open a new horizon for them to learn about our history, he hoped. Robi Managing Director and CEO Mahtab Uddin Ahmed, eminent artist Mustafa Monwar, Chairman of Sher-e-Bangla Foundation A K Fayyazul Haque and Dean of Faculty of Arts at Dhaka University Dr Abu M Delwar Hossain, among others, were present on the occasion. Fifteen female freedom fighters also graced the occasion.